SNOWTIME ANYTIME is good, safe, old-fashioned fun indoors. 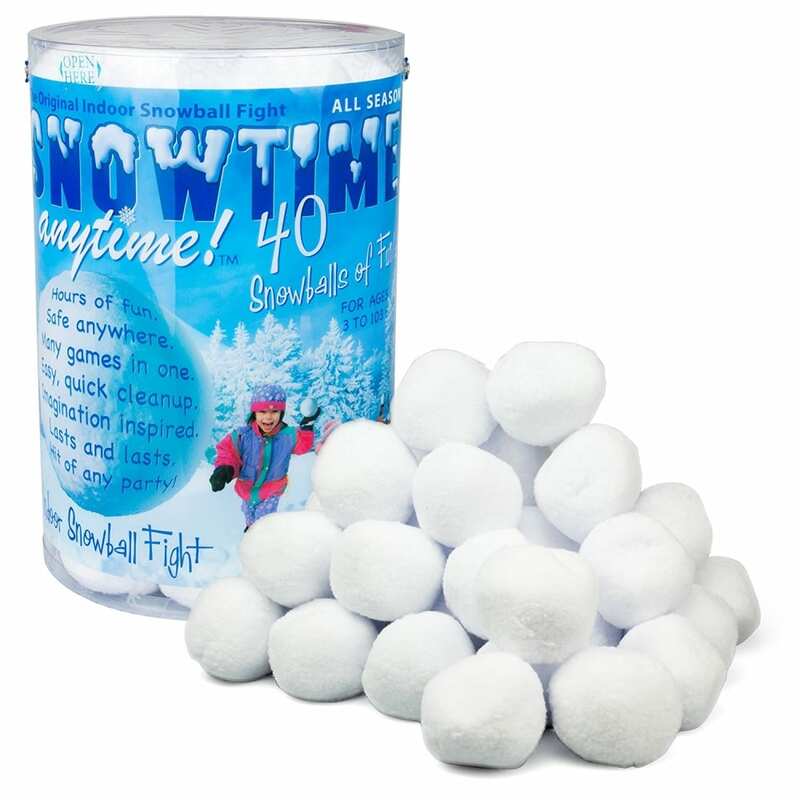 pack of 40 snowballs is energy-sapping, imagination inspired and the hit of any get-together with kids and adults alike. Customer Karen Beiswenger says “At Thanksgiving we had the best snowball fight ever. The entire family (30+) got involved for over an hour straight of fun, laughter and exercise. Yes we got a work out just throwing snowballs. What an excellent idea for gifts anytime of the year!” SNOWTIME ANYTIME is perfect for office parties, nursing homes, daycares, kids, tweens, teens, adults, schools and Sunday Schools.